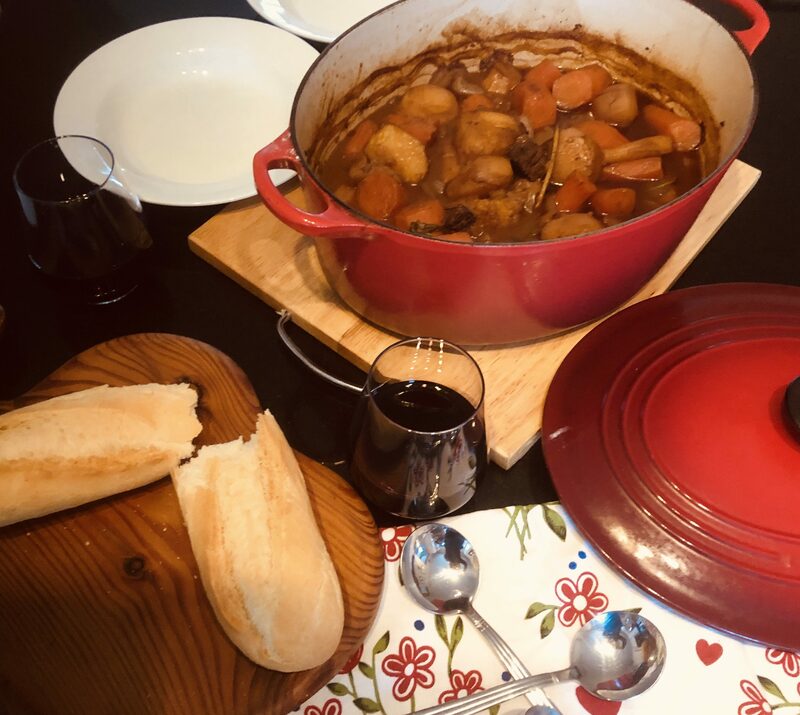 One of my favourite Winter dishes is without doubt a Beef Stew. 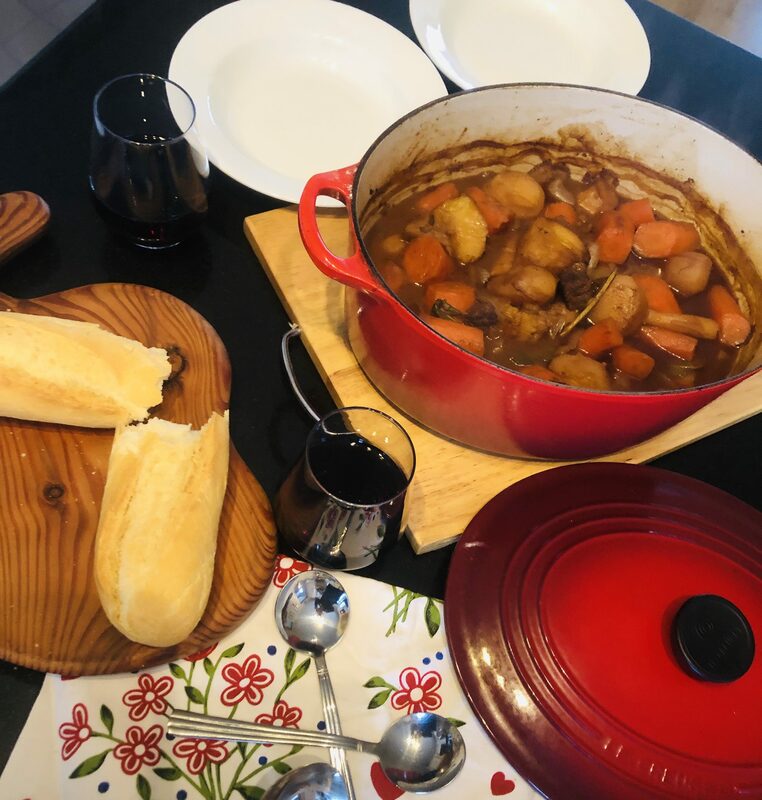 It fills me with nostalgia and is a hearty dish that is loved by all and even more so if served with warm crusty fresh bread rolls and a full-bodied red wine. 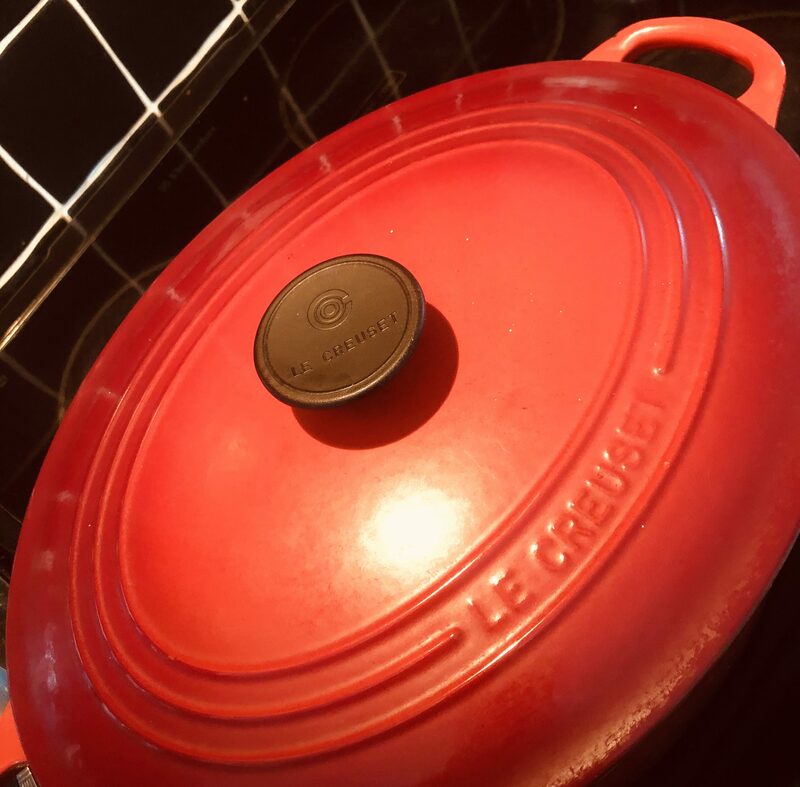 I personally love cooking with Le Crueset dishes. 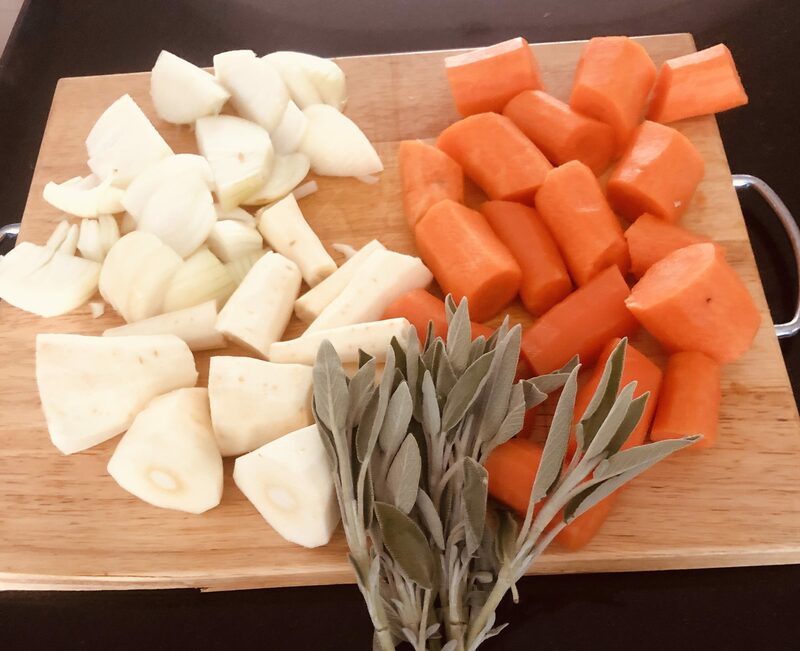 They are such versatile dishes and always give a beautiful result to food that is cooked in them. I also love how you can bring them from oven to table and can serve your guests directly from the dish. 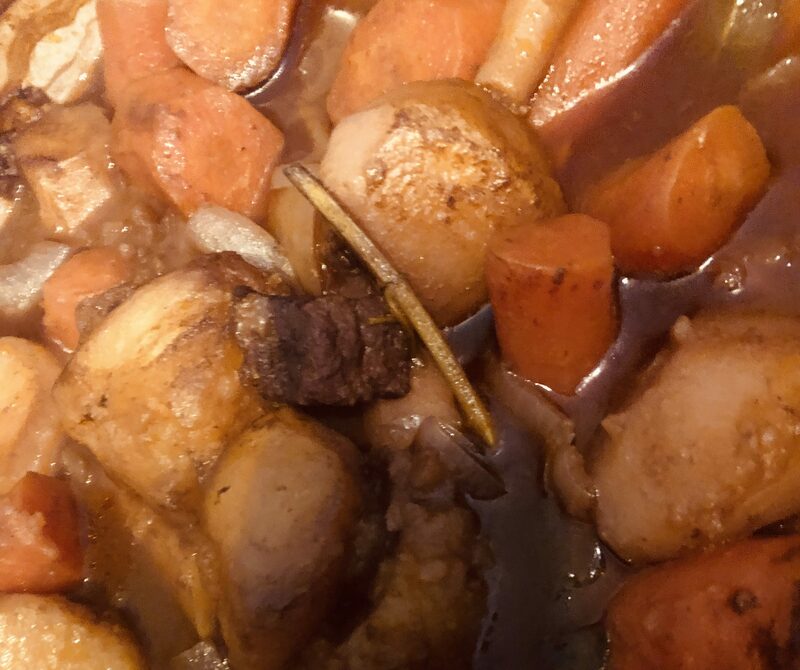 A beef stew is a very easy dish to cook and is such a filling and nutritious meal in one simple bowl. Serve with some fresh crusty bread rolls and some full-bodied red wine.